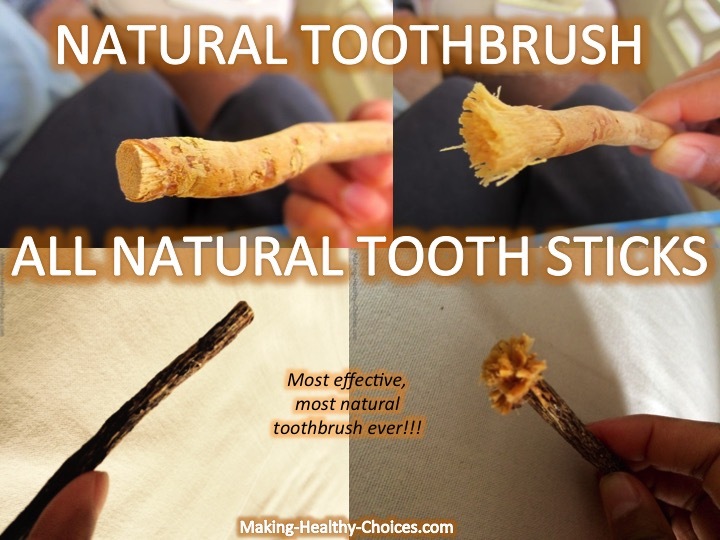 Using natural toothbrushes or tooth sticks is an ancient, all natural and extremely effective way to clean your teeth. Ever wondered how people brushed their teeth before plastic toothbrushes were invented? These tooth sticks are like an ancient toothbrush. For a long time I never really felt right about using modern toothbrushes - they just never felt natural to me with their plastic handles and synthetic bristles. And I could never get my teeth super clean using these modern toothbrushes. So, I began to look for a better answer. 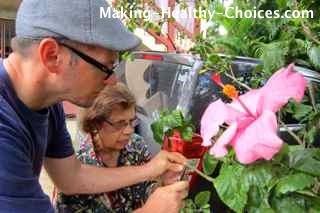 As I often do when looking for answers, I looked towards Nature and towards what our elders and ancestors used to do. It didn't take long before I found the answer. 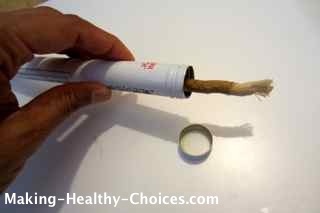 It makes perfect sense to me - use twigs from trees as our natural toothbrush. It is what has been done all through the ages by many cultures all over the world. 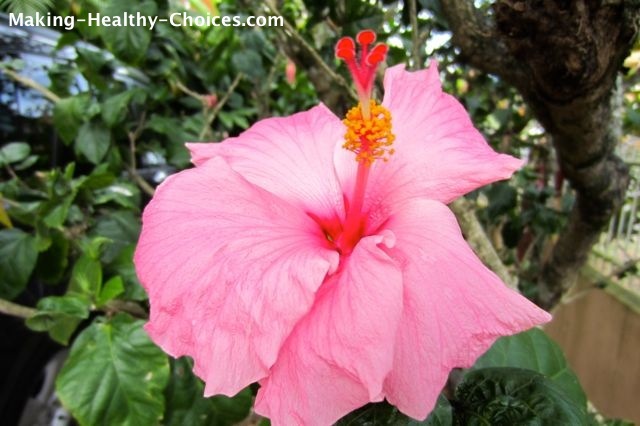 Growing up on the Caribbean island of Trinidad, my Mother was given the twigs of the hibiscus tree to use as a toothbrush - they referred to this as datwan. 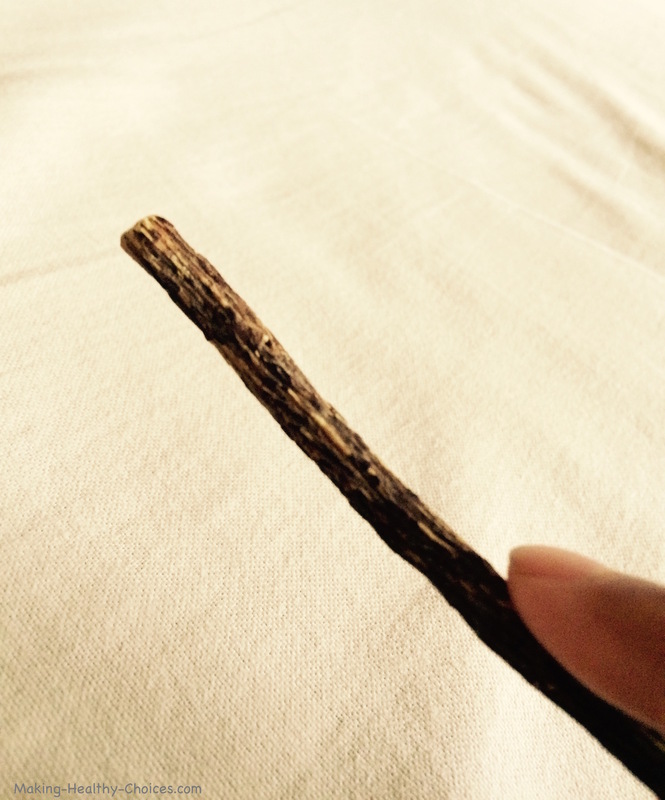 In the Middle East, Africa and Asia, twigs or roots from the Peelu (Salvadore Persica) are often used as a toothbrush or chew stick. Some cultures actually refer to this tree as the 'toothbrush tree'. And in the Americas, twigs from the dogwood tree were often used. These tooth sticks even have spiritual significance, referred to as Miswak or Arak, they are referred to often in religious scriptures. 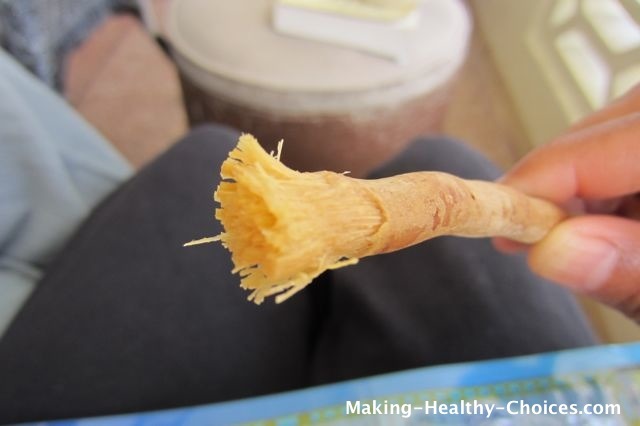 Natural toothbrushes or chew sticks are still used in many places around the world but their true gifts seem to have been lost to the modern plastic and electric toothbrushes. I see all sorts of new styles of plastic toothbrushes, some electric, with different types of bristles, colours, shapes and sizes. They always seem to be remodeling the modern toothbrush but, in my opinion, none of these modern creations even comes close to the effectiveness of a natural toothbrush cut right from a tree. Cut a pencil size twig from your tree of choice (see recommended trees below). In some cases a piece of the root can also be used. Chew one end of the stick to remove the bark. 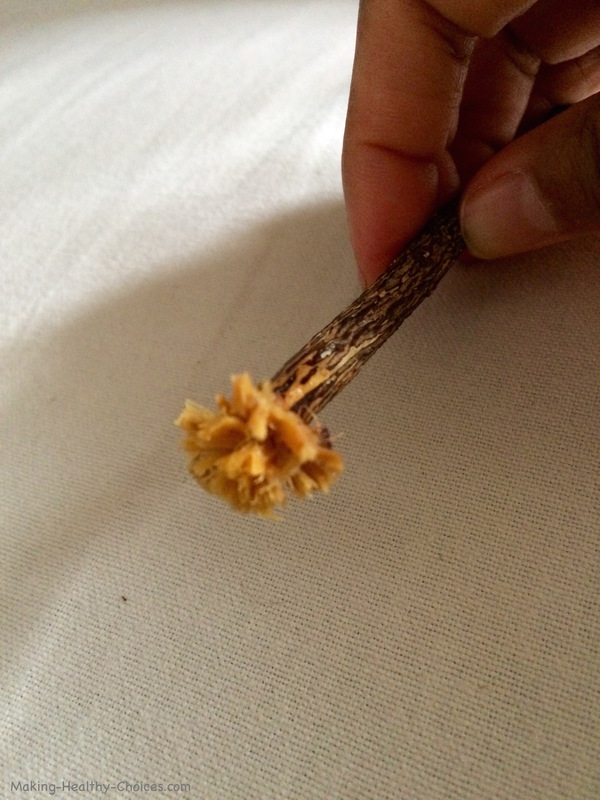 Continue chewing until the end of the stick becomes brush like. Brush your teeth and massage your gums with your natural toothbrush. When finished, rinse and store for later use. I am currently using hibiscus, peelu and licorice sticks. They last a really long time as the chewed bristles can be used for several brushings (several days) before needing to be cut away. Notice that no toothpaste is used here ... all natural, so simple and extremely effective. In between uses I store my tooth sticks standing upright in a small glass jar. When travelling or on the go, carry your stick with you in a bag or any type of toothbrush holder or case. As I like to avoid plastics, I am looking for my ideal carrying case, perhaps made out of bamboo with a cork. I recently obtained a cylindrical cigar case made from tin that is working nicely right now. 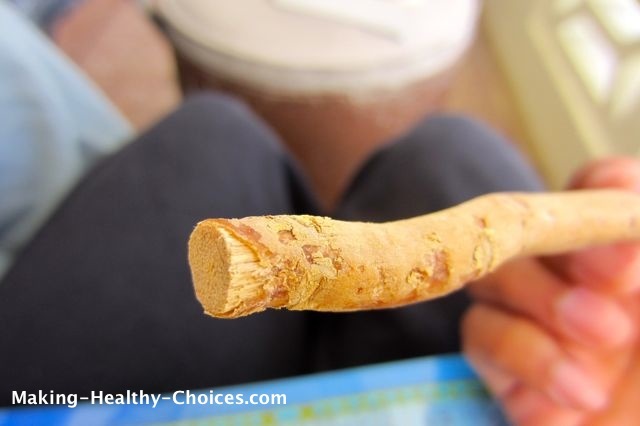 Where to Get Your Natural Toothbrush - Will My Teeth be Clean? There are many trees from which you can cut your toothbrush. These plants carry with them many properties that are amazing at keeping our mouths, teeth and gums healthy. Many of these plants contain a natural fluoride component among many other anti-bacterial and antimicrobial elements. Be sure to avoid any plants that are toxic. Along with flossing, toothpicking and tongue scraping, these natural tooth sticks can round out your oral care to keep your mouth healthy, your teeth sparkling, cavity free and build-up free. I know that there are many more varieties of trees that can be used for this - the above list is just what I have had experience with personally. I encourage you to do your own research and to try other plants out - see what works great for you and share in the comments below. 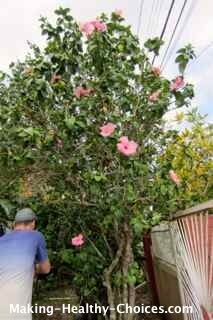 Just be sure to avoid any toxic plants - Most trees will be fine but if you are not sure, play it safe. Simply put - they work. After using my natural toothbrush my teeth feel cleaner than they ever have with a standard toothbrush, my mouth is fresh and my gums are massaged. My whole life whenever I have gone to the dentist I have been told that I have lots of build-up on my teeth and that I need to floss better. Throughout my life I have been told by many dentists that I have cavities. My most recent check-up was amazing. The report was clean teeth, no flossing problems, no build-up and healthy strong gums. I know that my recent addition of tooth sticks into my healthy teeth protocol has so much to do with this. I am so grateful to have been reminded of this age old technique!! It is one that I will continue for the rest of my life. Another great aspect to this is that it is simple, inexpensive and easily available. We travel often and no matter what country we are in we can always find a tree that is happy to give us one of its twigs. Is this all I use now? 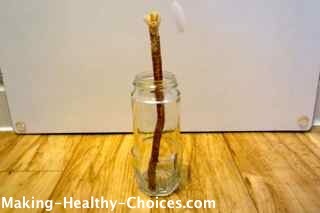 - I still use my homemade toothpaste, toothsoap and tooth powders as well as my homemade mouthwash on occasion .. and I love that these natural toothbrushes or tooth sticks are now a part of my regimen.